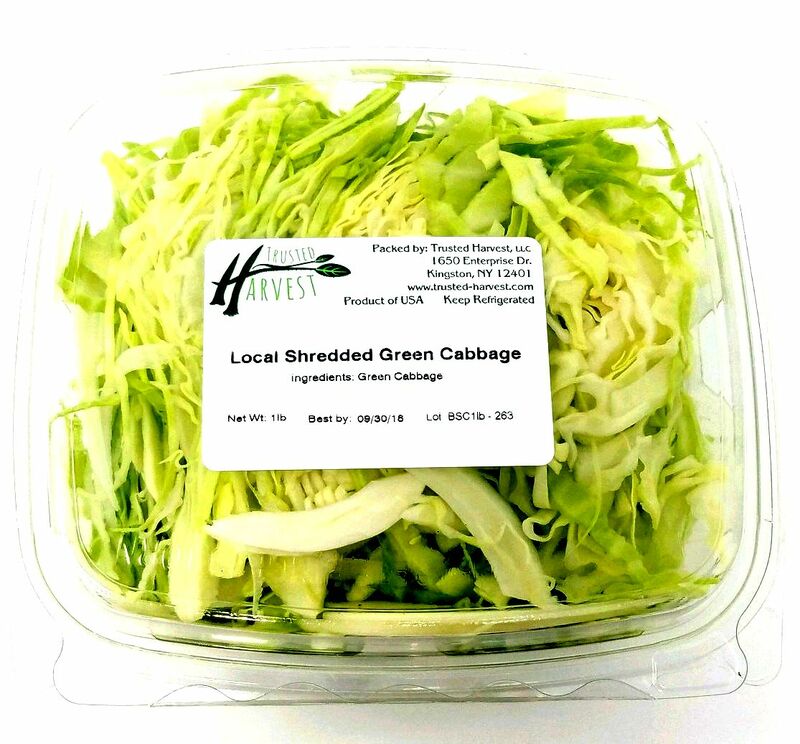 This week’s certified organic shredded cabbage was grown by Hepworth Farms, and prepped by Trusted Harvest to make your life easier! No need to risk injury using your mandoline… this cabbage comes shredded and ready to use. A vegetable long touted for it’s amazing nutrition-to-cost ratio, cabbage is also highly versatile for a multitude of dishes. One of our favorite recipes (especially in the chilly months!) is for savory cabbage pancakes. They’re the perfect cozy comfort food with just a little bit of heat. In a large mixing bowl, stir together 4 cups of shredded cabbage, 4 eggs, ¾ cup of flour, 3 scallions, and 1 tablespoon of liquid aminos (available in our store). Heat up some canola oil in a large non-stick skillet set on medium heat. Add the cabbage mixture and flatten to form a pancake. Fry each side for five to eight minutes, or until golden brown. Stir together a little sriracha, mayonnaise, and another tablespoon of liquid aminos and drizzle it over the finished product. Garnish with sesame seeds! Bringing home the bacon? For an extra hearty cabbage pancake, try adding some of our new heritage-breed, pasture-raised bacon to the equation, sourced locally from Sir William Farm or Sugar Hill Farm. Fully cook the slices just as you normally would, crumble or cut them up, and add them to the cabbage mix prior to frying. Whether it ends up in a spicy slaw or a sizzling stir-fry, with cabbage there’s always something new to try!